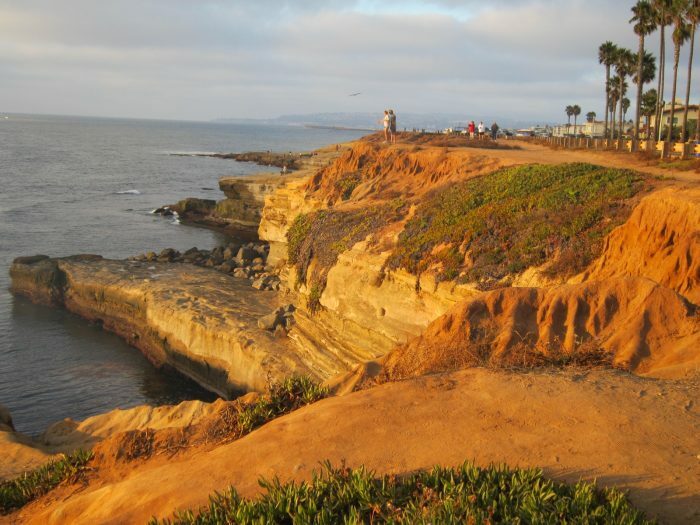 Sunset Cliffs in Ocean Beach is a great place to run in San Diego. You stay high on the windy cliffs with great views. A real treat at sunset. At the end of the road you can hike down the cliffs onto the beach. The route we’ve put together starts at Ocean Beach and follows Sunset Cliffs Blvd., out and back. The most spectacular section is the 1.5 miles along the cliff. You can add a mile along Ocean Beach, or cross the river and add on some of Mission Bay.